If you have special accessibility needs Specialist Bathroom Fitters can help you design a Bath or Shower room which meets all your and your families or carers needs. Where access to your bath or shower is becoming problematic Specialist Bathroom Fitting service can help you overcome those difficulties with style by offering a bathroom design and fitting service which is tailored to your particular needs and individual taste. We will undertake to install all aspects of your new bathroom to the highest standard, we will remove all existing fixtures, fittings and waste from your property as work progresses to ensure that your home remains as clean and tidy as possible during the installation. Our craftsmen work to strict time frames which will be agreed with the customer at the planning stage and are kept up to date with progress as the project progresses to ensure customer satisfaction. A floor level shower can offer an attractive alternative to a conventional wet room and provide a stylish addition to your home. 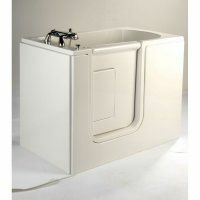 This can help avoid wet bathroom floors and promote the safety and well-being of the user and other family members. A low bath may be a preference and provide for your needs or a full wet room may be your choice, We can offer you the opportunity to bathe or shower in style and comfort that you perhaps had not thought possible. Fitting an enclosed shower without the need to step up provides a safe and convenient way of overcoming mobility problems and helps keep the room floor dry and safer than may be possible with a full wet room making bathing safer for everyone using the bathroom. 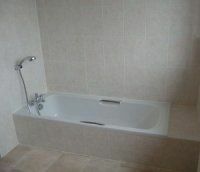 Stewart Chapman Plumbing and Heating Ltd can provide you with a complete Easy Access Bath installation service. 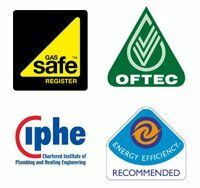 We can provide you with all the help and advice you need.